The Virginia opossum (Didelphis virginiana), also referred to as “possum” to many southerners, is North America’s only marsupial, an animal that has a pouch, like the Australian kangaroo or koala. It is also one of the Earth’s oldest mammals. The nocturnal animal begins its life as tiny as a honeybee and immediately crawls into its mother’s pouch to develop further. Interestingly, a female opossum may give birth to as many as 20 babies in a litter, but fewer than half of them survive. Unfor tunately, some never even make it as far as the pouch. Virginia opossums are omnivorous, enjoying a diet both rich in plants and animals. 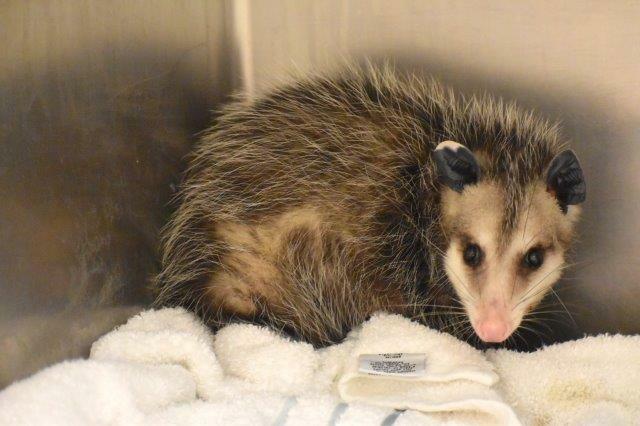 At CROW, an adult female Virginia opossum was admitted from Estero after suffering head trauma, possibly from being struck by a vehicle. The patient was stabilized overnight with fluid therapy, pain medication and anti-inflammatories. The following day, the opossum was anesthetized and a full set of radiographs were taken. The radiographs revealed that the opossum’s right upper canine and premolar were av ulsed. The radiographs also showed fractures to both the upper and lower jaw. Later that day, the first of two surgeries was performed to remove the affected teeth. CROW officials reported the injuries have been healing appropriately, to the point that the wires were recently able to be removed. “This opossum was certainly in a lot of pain with the fractures she sustained. She was kept on pain medications for a few weeks after the fractures occurred,” said Dr. Abbott. 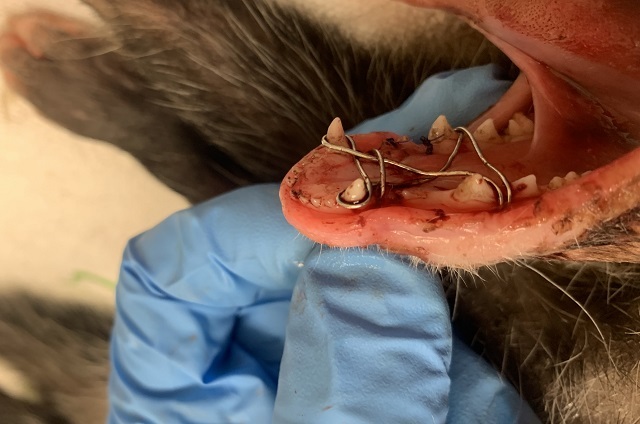 “It is interesting to know that the opossum has the most teeth of any North American land mammal, and she will do well without these teeth because she has many others for eating.” The patient is still being offered a soft food diet, but will be transitioned to more solid food in the near future. “The opossum will be transitioned over the course of a week to harder foods as long as she is able to eat the harder foods without issues,” said Dr. Abbott.